Draft: 2008, Oakland Athletics, 28th rd. Dustin Michael Coleman (Dusty)...he and his wife, Sarah, have two sons, Noah and Quinn... attended Wichita State University where he hit .314 with eight home runs and 71 RBI before being drafted by the Oakland Athletics during his sophomore year...in 2006, was named the South Dakota High School Player of the Year and a High School All- American for Bishop O'Gorman High School...while in high school, won two state football championships and one in basketball...holds an annual baseball camp, the "D-C Clinic," during the winter in Sioux Falls, South Dakota...his father played football at Augustana College (SD)...his grandfather played football at Colorado State...his favorite TV show is Game of Thrones ...his all-time favorite baseball player is Derek Jeter...roots for the Denver Broncos...originally signed by Athletics' scout Yancy Ayres. Spent the majority of the season with El Paso (AAA) and hit .208 (68-for-327) with 17 doubles, six triples, 15 home runs and 48 RBI for the Chihuahuas before being called up on 7/24... made his first appearance at the ML level since 2015...Recorded his first career hit and RBI on 7/25 vs. NYM, a double off of Addison Reed...Logged his first ML home run, multi-hit and multi-RBI game on 7/27 vs. NYM...his three-run shot was hit on the first pitch off of RHP Tyler Pill...Designated for assignment on 9/18...cleared waivers and was outrighted to El Paso on 9/21...During El Paso's Postseason run hit .250 (5-for-20) over eight games with a home run, four RBI and four runs scored. Combined to hit .244 (52-for-213) in 63 games between the AZL Royals (R) and Omaha (AAA), recording 26 RBI and 31 runs scored...Missed time while with Omaha when he was placed on the seven-day disabled list from 5/18-7/28...began a rehab assignment with the AZL Royals on 7/19. Made his MLB debut for KC on 7/3 vs. MIN...appeared in four games during his first career ML call-up...Named an Organization All-Star for Kansas City by MiLB.com...Spent the majority of the season between Northwest Arkansas (AA) and Omaha (AAA), combining to hit .292 (100- for-342) with 45 RBI and 43 runs scored in 99 games...Missed some time while with Omaha when he was placed on the seven-day disabled list from 7/27-8/5. Named a Texas League Mid-Season All-Star for Midland (AA) for a second consecutive season...Played the entire season with Midland, hitting .223 (109-for-489) with 27 doubles, 18 home runs, 81 RBI and 79 runs scored in a career-high 135 games. Combined to hit .255 (129-for-505) in 136 games between Midland (AA) and Sacramento (AAA)...recorded 48 extra-base hits, 62 RBI and 69 runs scored...Named a Texas League Mid-Season All-Star for Midland. Spent the entire season with Midland (AA), hitting .201 (86-for-427) in 128 games with 15 home runs, 59 RBI and 51 runs scored. Finished the season among organizational leaders in several categories within Oakland's farm system, ranking fifth in doubles (30) and runs scored (76), sixth in extra-base hits (49), eighth in total bases (206) and ninth in steals (21)...Split the season between Stockton (A) and Sacramento (AAA), appearing in 130 games and hitting a combined .247 (123-for-498) with 15 home runs, 70 RBI, 76 runs scored and 21 stolen bases...Earned California League Player of the Week honors for the week ending in 7/4...Named the Best Defensive Shortstop in the California League...Played for the Phoenix Desert Dogs in the AFL and hit .167 (9-for-54) in 15 games with three home runs and eight RBI. Missed the entire season after undergoing surgery on a broken right wrist. Split the season between Kane County (A) and Stockton (A), hitting a combined .247 (110-for-446) in 119 games with 26 doubles, six triples, nine home runs, 50 RBI and 70 runs scored...Named a Midwest League Mid-Season All-Star for Kane County...Was among organizational leaders in the A's farm system, ranking tied for third in triples (6), ninth in stolen bases (20) and 10th in runs (70). Split his first professional season between the A's Rookie-Level Arizona League affiliate and Single-A Vancouver, hitting a combined .293 (29-for-99) with 11 RBI and 17 runs scored in 26 games played...Following the season, ranked as the Athletics No. 22 prospect by Baseball America...Tabbed as the 18th-best prospect in the Northwest League. 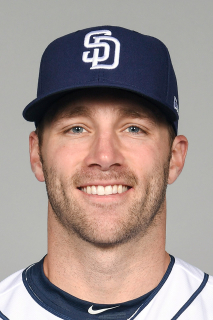 November 2, 2018 3B Dusty Coleman elected free agency. January 18, 2018 3B Dusty Coleman assigned to El Paso Chihuahuas. November 16, 2017 San Diego Padres signed free agent SS Dusty Coleman to a minor league contract and invited him to spring training. October 2, 2017 SS Dusty Coleman elected free agency. September 21, 2017 San Diego Padres sent SS Dusty Coleman outright to El Paso Chihuahuas. September 18, 2017 San Diego Padres designated SS Dusty Coleman for assignment. August 29, 2017 San Diego Padres optioned SS Dusty Coleman to El Paso Chihuahuas. July 24, 2017 San Diego Padres selected the contract of Dusty Coleman from El Paso Chihuahuas. December 2, 2016 San Diego Padres signed free agent SS Dusty Coleman to a minor league contract and invited him to spring training. December 2, 2016 SS Dusty Coleman assigned to El Paso Chihuahuas. November 7, 2016 SS Dusty Coleman elected free agency. July 28, 2016 Omaha Storm Chasers activated SS Dusty Coleman from the 7-day disabled list. July 19, 2016 Omaha Storm Chasers sent 3B Dusty Coleman on a rehab assignment to AZL Royals. May 19, 2016 Omaha Storm Chasers placed 3B Dusty Coleman on the 7-day disabled list retroactive to May 18, 2016. November 18, 2015 3B Dusty Coleman assigned to Omaha Storm Chasers. November 9, 2015 Kansas City Royals signed free agent 3B Dusty Coleman to a minor league contract and invited him to spring training. November 6, 2015 3B Dusty Coleman elected free agency. September 10, 2015 Kansas City Royals sent Dusty Coleman outright to Omaha Storm Chasers. September 7, 2015 Kansas City Royals designated 3B Dusty Coleman for assignment. August 5, 2015 Omaha Storm Chasers activated 3B Dusty Coleman from the 7-day disabled list. July 30, 2015 Omaha Storm Chasers placed 3B Dusty Coleman on the 7-day disabled list retroactive to July 27, 2015. July 24, 2015 Kansas City Royals optioned 3B Dusty Coleman to Omaha Storm Chasers. July 3, 2015 Kansas City Royals selected the contract of Dusty Coleman from Omaha Storm Chasers. May 9, 2015 SS Dusty Coleman assigned to Omaha Storm Chasers from Northwest Arkansas Naturals. March 27, 2015 IF Dusty Coleman assigned to Kansas City Royals. January 16, 2015 Kansas City Royals signed free agent SS Dusty Coleman to a minor league contract. January 16, 2015 SS Dusty Coleman assigned to Northwest Arkansas Naturals. March 30, 2014 SS Dusty Coleman assigned to Midland RockHounds from Sacramento River Cats. March 15, 2014 IF Dusty Coleman assigned to Oakland Athletics. August 26, 2013 3B Dusty Coleman assigned to Sacramento River Cats from Midland RockHounds. March 18, 2013 SS Dusty Coleman assigned to Oakland Athletics. April 3, 2012 SS Dusty Coleman assigned to Midland RockHounds from Stockton Ports. March 17, 2012 SS Dusty Coleman assigned to Oakland Athletics. August 13, 2011 Dusty Coleman assigned to Stockton Ports from Sacramento River Cats. August 4, 2011 Dusty Coleman assigned to Sacramento River Cats from Stockton Ports. August 3, 2011 SS Dusty Coleman assigned to Stockton Ports from Sacramento River Cats. August 2, 2011 SS Dusty Coleman assigned to Sacramento River Cats from Stockton Ports. July 17, 2011 Dusty Coleman assigned to Stockton Ports from Sacramento River Cats. July 15, 2011 Dusty Coleman assigned to Sacramento River Cats from Stockton Ports. March 11, 2011 SS Dusty Coleman assigned to Oakland Athletics. September 21, 2010 Dusty Coleman roster status changed by Stockton Ports. April 3, 2010 Stockton Ports placed SS Dusty Coleman on the 7-day disabled list. August 1, 2009 SS Dusty Coleman assigned to Stockton Ports from Kane County Cougars. August 1, 2008 Oakland Athletics signed SS Dusty Coleman.